Did you win a Kindle Fire tablet this week? If you are James Speiser of Grants Pass, Oregon, you did. James won his on Monday in last week’s Kindle Nation Daily KINDLE FIRE Giveaway Sweepstakes, and when it arrives at his home today he will become the 14th citizen of Kindle Nation to win a Kindle Fire from us in the past few months. But we’d like for you to be one of the 50 people who will win one of these Kindle Fire tablets from us during the remainder of 2012, and all you have to do is follow the extremely easy steps at the end of this post to have a great chance to win. 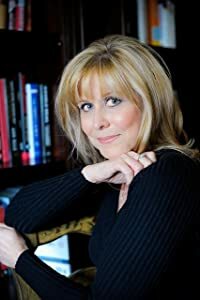 Like each one of our weekly sweepstakes, this week’s giveaway is sponsored by a talented author who has proven to be a favorite with our readers. 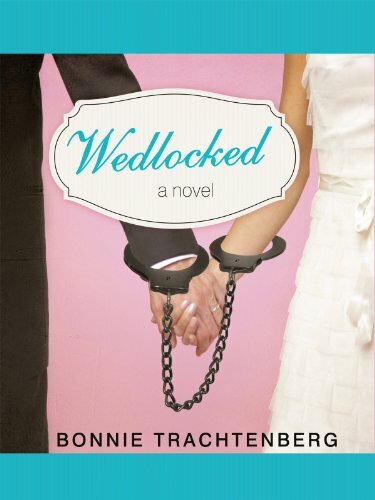 Wedlocked author Bonnie Trachtenberg is springing for the Kindle Fire that could very well end up with your name on it, so it only makes sense to pay it forward and stimulate both your karma and your imagination at the same time by chancing 99 cents to grace your Kindle with a novel that is averaging 4.8 stars on 42 out of 44 rave reviews from discriminating readers like us. There’s no purchase required, but we do need you to go to our Kindle Nation Facebook page and “Like” us if you have not done so already. You’ll need to do this on a computer rather than a smartphone, and you should give the page a few seconds to load, because for some reason it takes a little longer. Then just follow the prompts to enter the sweepstakes, and you’re done! Limit of one entry per weekly sweepstakes, but feel free to enter every single week! Good luck! And happy reading! I would love to win a kindle fire. I would give it to my dear husband. Incredible chance for a winning Kindle Fire. Thank you for this chance to win a Kindle Fire. Would love to win this for my 10 year old son. Will I be a Kindle Fire winner in just a few days?????????? I would love to win a Kindle Fire. I have the Kindle keyboard, and love it and would love to have the Fire! Please, please pick me! 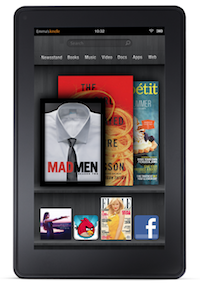 I so would love to have a Kindle Fire …. I would give my original Kindle to my son. I would love to upgrade to the Kindle Fire. I would love to win this as I love to read and the Kindle Fire sounds so cool. Kindle allows easy reading for those with a disability that makes holding a book difficult. It’s fun to use! Every time I see my grandsons they want to use my Kindle Fire. I think they love it as much as they love me. I’d love to win a kindle fire for them. I would love to win this for my daughter, she loves to read! I would love to win one of these. It is a wonderful invention. I LOVE your page!!! I certainly hope to be the winner, I have five children and reading is my one pleasure… I would cherish a kindle!!! I would love to win a kindle so i can read more often. Would love to to win for my son. I would be so happy to have a new Kindle. I have an oldie but goody. If I win the Fire, my grandkids may get my Kindle. They love to read.